The day I made Shrimp Spring Rolls I also made Shrimp Lo Mein. 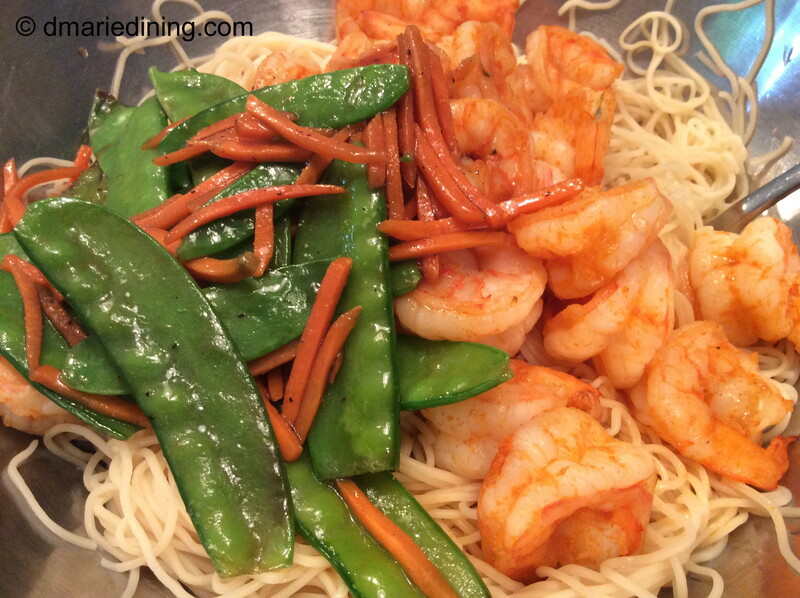 Most of the ingredients I used as the filling for the spring rolls was also used to create Shrimp Lo Mein. How great is that? Two meals and I only cooked one time. As I said in my Shrimp Spring Rolls post, my family loves Asian cuisine. We could eat it a couple times each week but I am sure that would get old as time goes on. We all need variety when it comes to food. At least I do. Anyway, Since I had quite a few extra ingredients I decided to make a quick Shrimp Lo Mein. 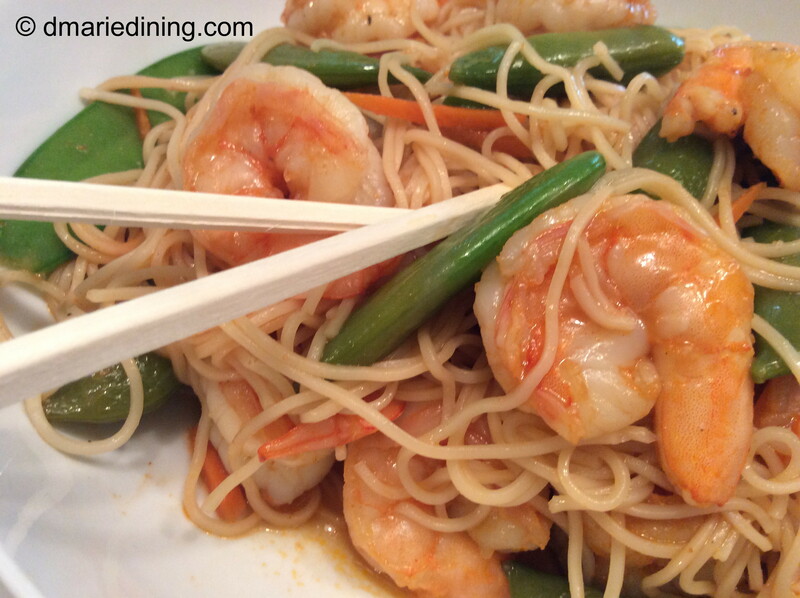 The other thing my hubby and son love is pasta so Shrimp Lo Mein was definitely right up their alley. Thankfully, it did not take much to get them to agree to be my taste tester for this recipe. In case you didn’t know, there are all types of noodles used to make Lo Mein. 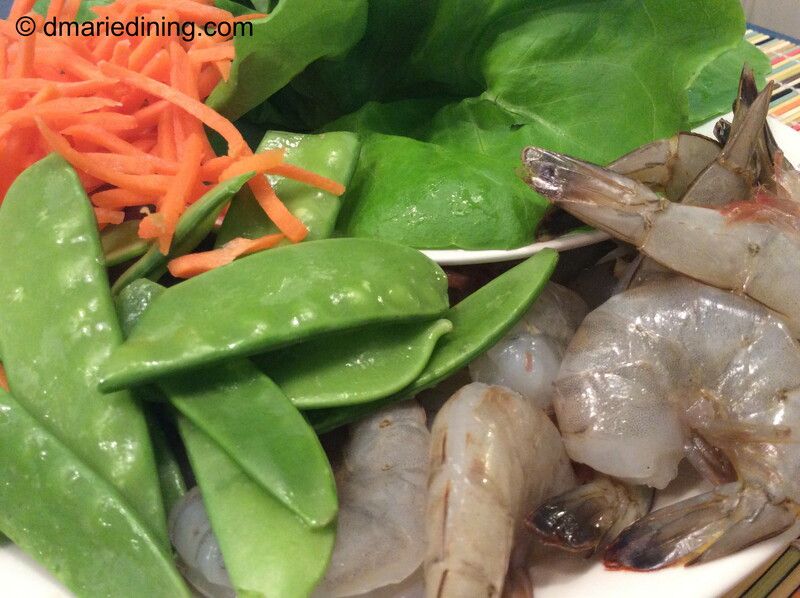 I used Chinese noodles since that is what I used to make the Shrimp Spring Rolls. However, you can also used thin wonton noodles which are stringy and cooked in wonton noodle soup because they are light and delicate. Wide wonton noodles can also be used for Lo Mein. These noodles are often used in heartier soups like beef noodle soup. Of course you can just look for Lo Mein noodles which are thick and used in stir-fried noodle dishes made with a heavy sauce or gravy. In researching the variety of noodles used for my recipe I found out that Lo Mein noodles are probably the best choice when making a Lo Mein dish because they stand up better to reheating. Bottom-line. 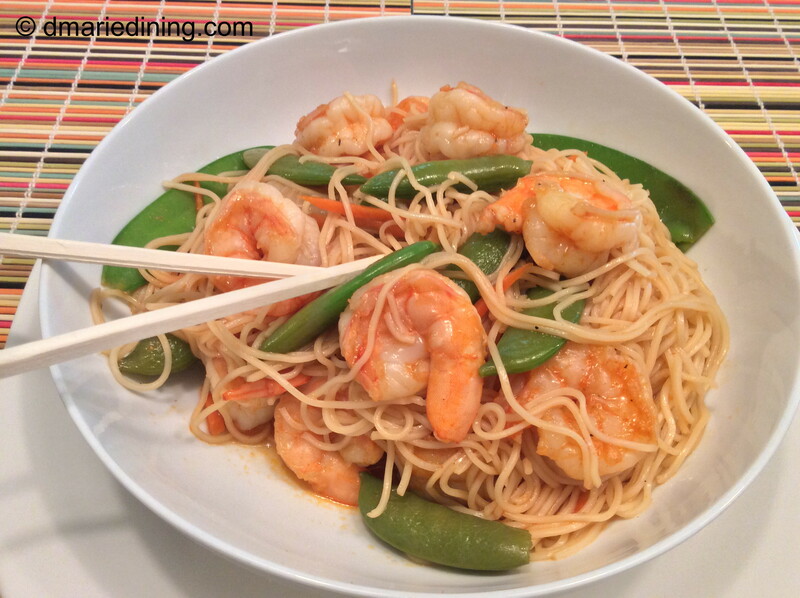 You can use whatever noodle you like to make Shrimp Lo Mein. In a pinch I think I would even use spaghetti noodles or linguine noodles if that was the only thing available. The most important thing to remember is add a little love to your recipe. It makes everything taste good. Prepare lo mein noodles according to package. Drain and set aside. Heat olive oil in a medium size non-stick frying pan over medium high heat. Add shrimp, sriracha sauce and lemon juice. Season with a little salt and pepper. Stir shrimp until they turn pink. Remove shrimp from pan and set aside in a small bowl. Add carrots, snap peas and a little more salt and pepper (add cayenne pepper if you really like heat) to the frying pan. Stir and let cook for 1 minute. Add oyster sauce and mix with veggies until they are well coated. Reduce to low heat and cook for another 2 minutes. Toss with lo mein noodles. Enjoy!